Wine Roads that are designed and supported by the Wine Producers Association of the Peloponnesian Vineyard (ENOAP), as part of the greek wine tours map, whose activities extend to the Ionian Islands, are one of the most popular tourist destinations in Greece. 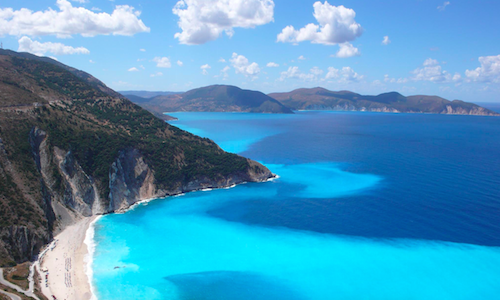 The two southernmost islands of the Ionian (Zakynthos and Kefalonia/Cephalonia), which have the most developed vineyards, are directly connected to the western Peloponnese, a fact that bolsters the use of the term wine tourism in the Peloponnese and the Ionian. The Ionian Islands have many special viticultural characteristics, mainly the vast range of local grape varieties (indigenous – such as Robola) and the very limited infiltration of foreign varieties. However, as a result of longtime Venetian rule, these special characteristics extend to customs and traditions, speech patterns, musical traditions, architecture and culture in general, while at the same time, each island retains its own unique character. Visiting one of these islands is one-in-lifetime experience! Tasting all the indigenous varieties via the Greek Wine Experience team, can be a unique moment to cherish!